As the oldest wine region in France, dating back 2,600+ years, it’s no wonder Provence helps identify the country as the undisputed culinary capital of the world. The region is served by four international airports and is easily accessible by rail or river boat, making it easy to immerse yourself in the flavors of this southern French destination. Mild winters, warm summers and little rainfall make this destination enjoyable year-round. 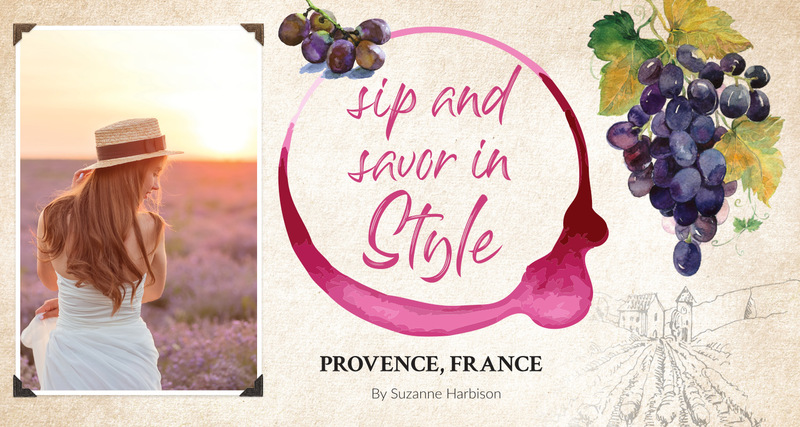 Famous for its picturesque fields of purple-hued lavender–in full bloom from late June to early July–and its association with Impressionist artists who congregated here to seek the intense sunlight to help create their masterpieces, Provence is also known as the first region in the world to specialize in rosé wine production. You can savor whites and full-bodied reds as well, which all have the reputation of being fresh and easy to drink. One way to experience the stunning landscapes of Provence while sampling the region’s finest food and wine is by cruising the Rhône and Saône on one of many river boats. Winding its way through the heart of French wine country for 500 miles, the Rhône eventually flows into the Mediterranean. Along the river, wine connoisseurs will encounter the best of the region’s hundreds of vineyards, along with visits to charming towns, including Aix, Arles (once home to van Gogh) and Avignon (UNESCO-designated for its medieval wonders). Explore bustling markets with a variety of local culinary delights. You can even go hunting for the highly prized “Black Diamond” (truffle) on hosted excursions and learn to pair chocolate with your new-found favorite vino. If you prefer luxury on land, stimulate your senses and stay in a spectacular chateau, where you can experience private olive oil tastings, cooking classes and wine tastings, along with guided cellar tours and sumptuous dining affairs. Favorites are Château La Coste (art estate), Châteauneuf du Pape (with castle ruins), Château de Berne (day classes with master chefs) and Château Minuty (St. Tropez bay views). Discover our agency’s collection of incredible river cruises with special savings and perks.